Please click on the drop-down box below to select the correct set. 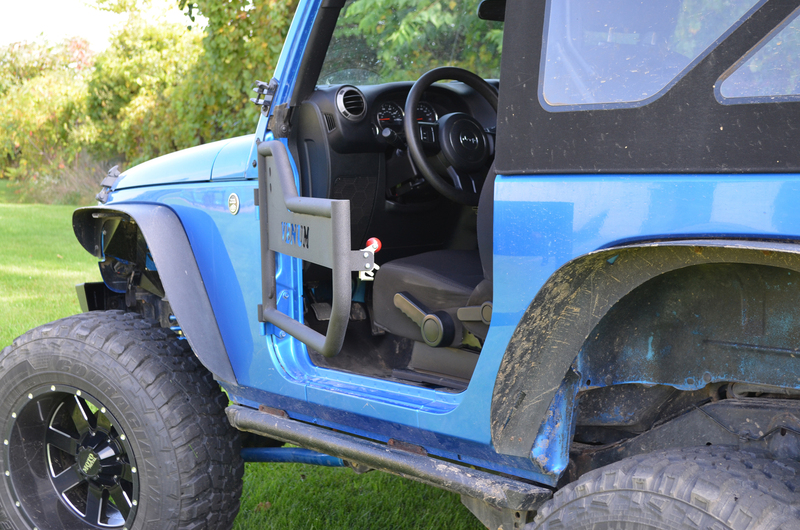 Venum JK Jeep Tube Doors are a modern design that looks great and offers an open air feeling with the security of having a barrier between passengers and the open road. 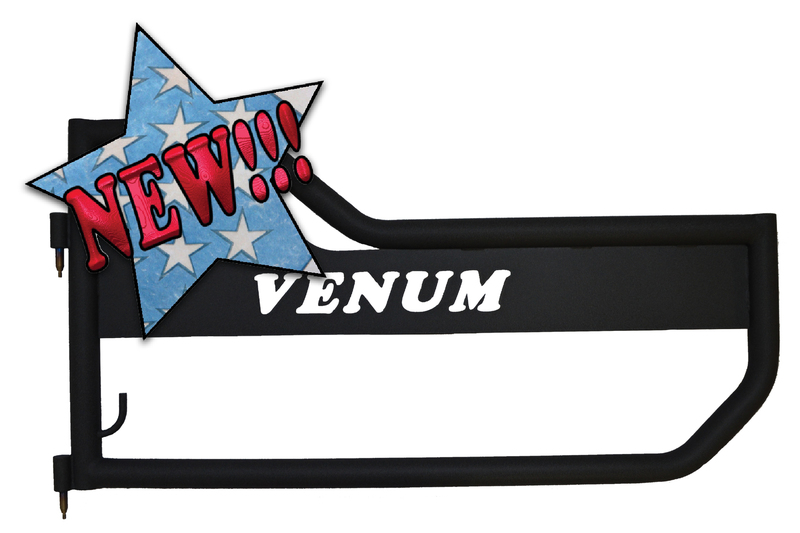 Designed with the distinctive Venum badging that can only be found at Owens Products. 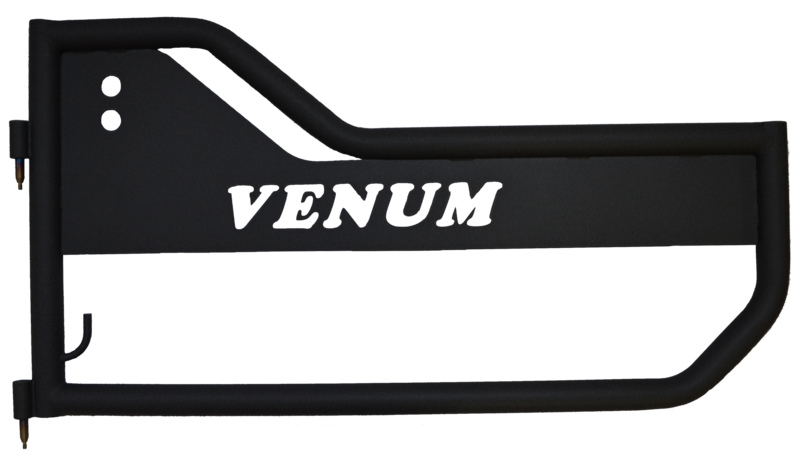 Built from 1.5 Inch OD aluminum tubing with a textured black powder coat finish for that off-road look. 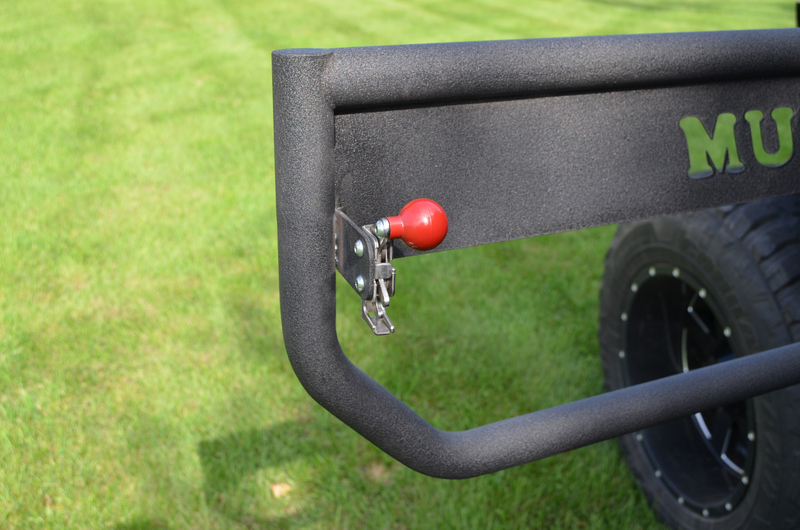 Stainless Steel latches are included. 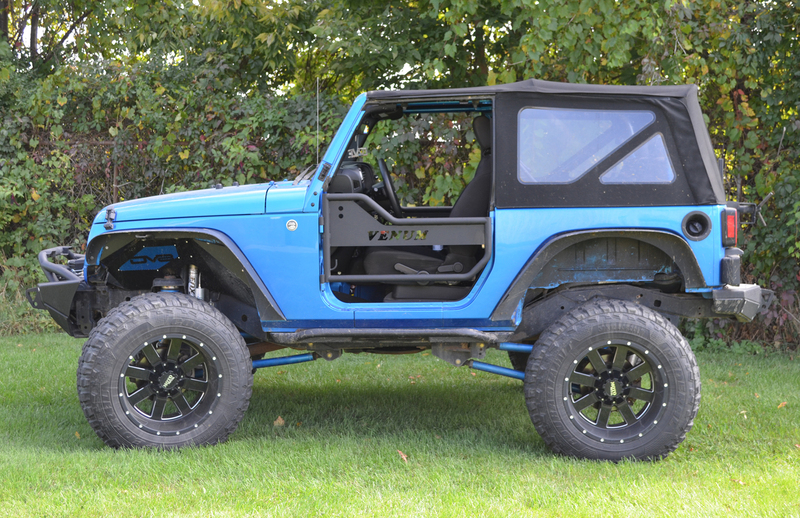 Rear doors are sold separately.